Originally built in 1185, the church was rebuilt in its present form in the 18th century by John Smyth (or Smith). 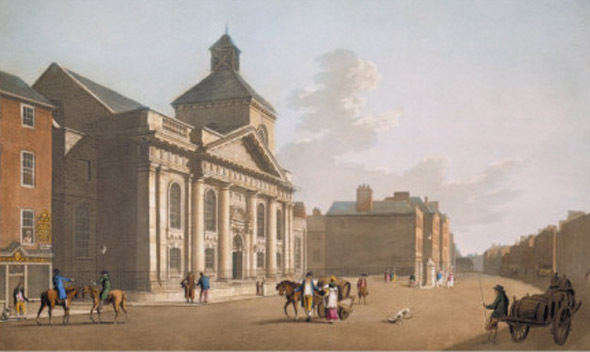 Maurice Craig maintained that St. Catherine’s has “the finest façade of any church in Dublin”. A planned spire was never completed. 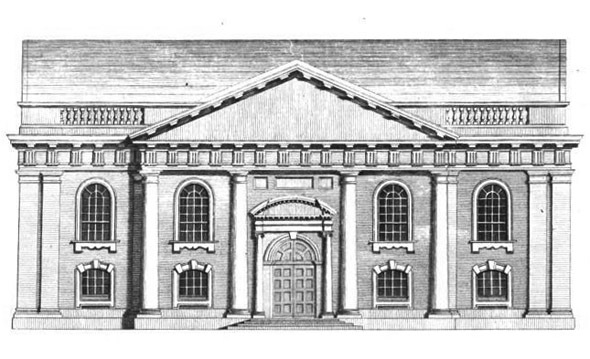 Internally, St. Catherine’s is a galleried church,a type common in Dublin at this time. Architects Curdy and Mitchell restored the church in 1877 and during the following decade an interior reordering was undertaken by architect James F. Fuller, during which the old box pews were replaced with open ones. The church closed in 1966 due to a decrease in the local population. After a period of decline, and later of refurbishment, St. Catherine’s was re-consecrated and has been the place of worship for the Anglican “CORE” church.